“I have an excellent relationship with foreign journalists – on the condition that they act like journalists. Political leaders have the responsibility of taking decisions and expressing the truth. When news media disseminate libellous untruths, they are not journalists anymore, they are influencers. 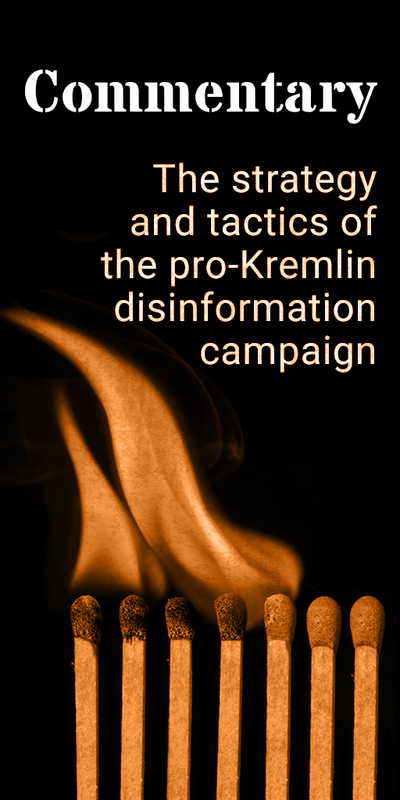 Russia Today and Sputnik were influencers in this campaign who, in several instances, disseminated lies about me and my campaign. So, I considered them as unwelcome. I can confirm this to you now: At my headquarters, all of the professional journalists, including Russian ones, had access to my campaign. It’s simple. These are the rules, they will always remain the same. And that is why it was a serious matter that foreign press organisations, under whose influence I don’t know, have interfered by publishing serious, untrue accusations in the middle of a democratic campaign. So, I am not going to give in on this, Madam. We’re going to say the truth – that Russia Today and Sputnik have not acted as press professionals and journalists, but as influencers, as spreaders of propaganda and lies, nothing more or less”. So spoke French President Emmanuel Macron at his press conference in Versailles on Monday with Russia’s President Putin standing next to him, when answering a question about why RT and Sputnik had not been allowed into his campaign headquarters. As we have demonstrated for the last 18 months, RT and Sputnik are part of a campaign designed to challenge fundamental trust in democracy and democratic institutions. They look like media, but at the same time they undermine trust in real media, producing stories that are not just biased, but deliberately wrong and misleading. Their stories never fail to fit in with the priorities of their sponsors and their political lines; their output is subject to strict political control coming directly from the Russian authorities. When they broadcast on TV and radio, their presenters’ accent-free English obscures the Russian origin of their narrative. They create subsidiaries to attract specific audiences such as young people in the West. The fact that President Macron’s campaign was the target of disinformation from RT, Sputnik and other Kremlin-controlled outlets was clear early on, as pro-Kremlin media started to repeat again and again such messages as that his candidacy was the result of a “wealthy gay lobby” or of a Rothschild family conspiracy. These attacks were supported by anti-Semitic conspiracy theories, and promoted on prime-time Russian state television. Pro-Kremlin media also favoured Mr Macron’s competitor, and rejected Mr Macron’s victory by stating that the French people “do not deserve the democracy that millions of Soviet soldiers paid for with their lives”. Russian reactions to President Macron’s setting the record straight were unusually passive. Russian communicators opted for a defensive, even bewildered line: President Putin’s spokesperson said that Russia disagreed with President Macron, as reported by Sputnik itself. RT’s chief editor expressed her frustration in a tweet where she called President Macron’s statement “a cheap vaudeville”. The tweet earned barely a hundred retweets (by Tuesday afternoon) – with almost 500K followers, RT’s chief editor is used to seeing much more support, especially when polemicizing directly with a foreign Head of State. 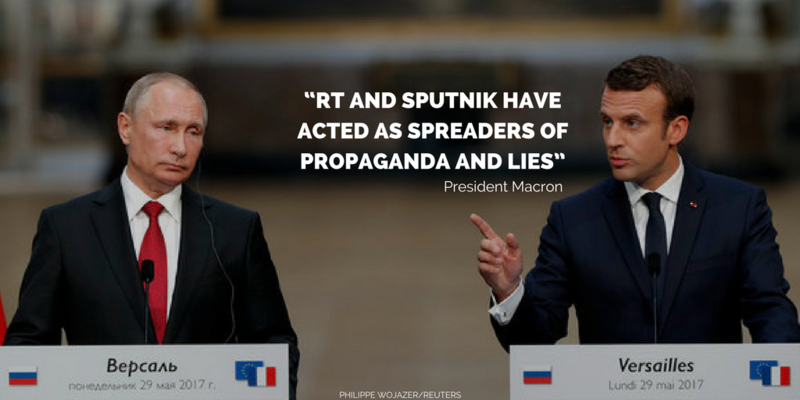 With President Macron’s statement and the bewildered Russian reactions, the pro-Kremlin disinformation campaign in France cannot be considered a success. 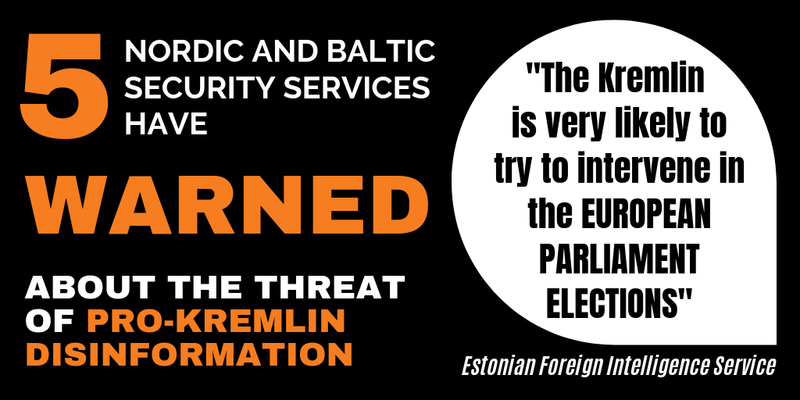 The attempts to influence and create confusion around the elections failed when media and officials chose to speak openly about the attempted influence operations. With France’s new President addressing the issue publicly, we can see how societies can successfully stand up against disinformation by calling it out for what it is, rather than by hoping that silence will make the problem go away.